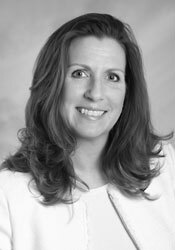 Michelle Vensel has over 25 years experience on matters relating to corporate development initiatives focused on higher earnings, cost savings, elimination of losses, and stronger bottom-line performance. Michelle Vensel is a Senior Managing Director with HWSC. Ms. Vensel is a proven strategy, finance, and operational executive with over 25 years of results-realized achievement, producing value directly tied to higher earnings, cost savings, elimination of losses, and a stronger bottom line. As a seasoned executive officer and respected strategic partner, Ms. Vensel is widely recognized for her depth and breadth of industry and functional expertise perfected over a career that has spanned the active formation, growth and management of companies, investing and lending sides of finance, capital raising, project finance and development, restructuring, turnaround, acquisitions, and divestitures, within the full vertical and horizontal markets of the energy, commodity and industrial sectors. She has been an incredibly effective agent for change providing strategic direction and operational leadership for both domestic and global start-up to Fortune 50 companies, and family offices. During her career, Ms. Vensel has successfully developed and executed over $20B in extraordinarily complex financial and operational transactions and initiatives. In addition to her consulting and advisory work, Ms. Vensel has served as an interim executive where she has held multiple roles including Chief Financial Officer, Chief Restructuring Officer, Chief Development Officer and Senior Advisor. In these positions, she has led, or partnered with the CEO to lead, initiatives including the formation, development, financing, turnaround and improvement of privately owned and private equity backed companies, providing the leadership and guidance that ensured maximum valuation and bankability, raising hundreds of millions in capital, and laying the groundwork for successful long term growth and/or high exit premiums. Prior to her consulting and advisory career, Ms. Vensel was a Vice President and Portfolio Manager within GE Capital Structured Finance Group (GE Energy Financial Services) where she managed a $2BN private equity portfolio of GE’s 26 most complex and vulnerable investments and $1BN in structured debt and leases. During her tenure, she grew portfolio company performance from 17% to 35% of total profit annually. Ms. Vensel served as the group’s turnaround and restructuring specialist, managing the Enron bankruptcy, and advising GE Power on the distressed acquisition of GE Wind Energy. In recognition of her varied accomplishments, she received the GE “Pinnacle Award” and the Company’s first “Management Award for Excellence”. Ms. Vensel also served as Vice President and Regional Head of The Americas, Commodities Finance, at Societe Generale New York where she provided a full range of corporate and structured finance, hedging, and trade solutions for producers, manufacturers, traders, processors, and end users of hard (metals & mining, fertilizer, and energy and chemicals) and soft (grain, feed, oils, coffee, sugar and cocoa) global commodities. Ms. Vensel was responsible for coordinating all business development activities across the Americas and with Europe, and Asia. She also led origination, underwriting, portfolio management and work out for all U.S. activity. During her tenure at SG, Ms. Vensel improved this floundering division delivering 100% increase in income and growing business volume by 25%. Ms. Vensel began her career as an accountant with Hill, Barth and King, CPA’s and as an associate in the corporate and investment bank-training program with NationsBank Corporation (today, Bank of America). She has served as adjunct Professor of Finance at Sacred Heart University, a member of the United States Navy Reserves, a Power Link Advisory Board Member, Chairman of the Board, Clarion County KIZ Industrial Development Board, Advisory Board Member for Clarion University of PA School of Business, and Board Member of various GE entities holding LP interests in project investments. Ms. Vensel holds a Master of International Management from Thunderbird School of Global Management with a concentration in Finance and Latin American Studies and a BSBA in Accounting from Clarion University of PA.